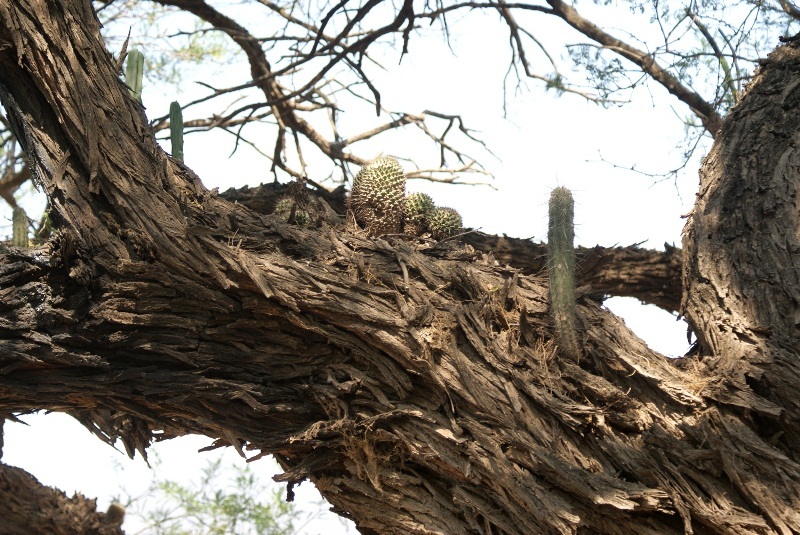 Eagle Eye Adventures: Cactus in the Trees! When thinking of epiphytes, it is normal to think of things like orchids, bromeliads, and even things like lichen growing on trees. But every once in a while, conditions will be just right for some plants to grow in ways that they shouldn't be able to survive. When they are growing on trees they are called accidental epiphytes. 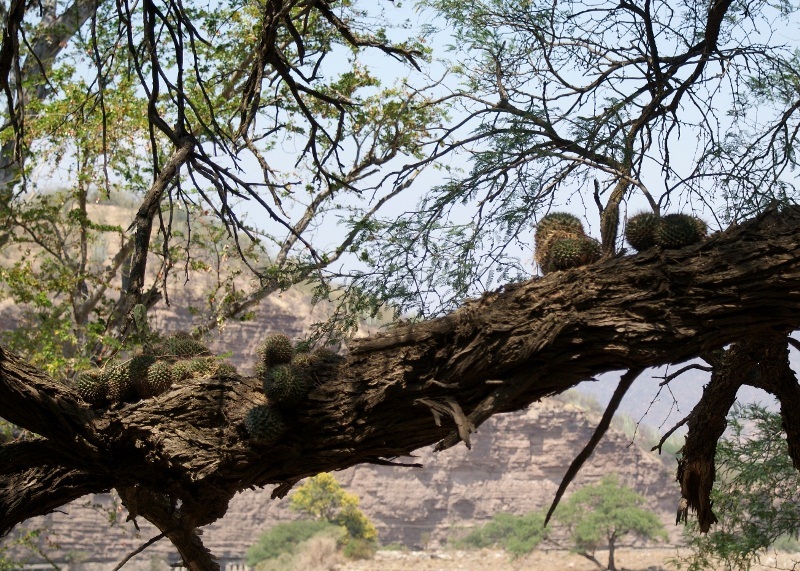 I have seen some plants like a few agaves, a few hechtias, and even an opuntia (cactus) once in a while. But in the Tehuacán-Cuicatlán Biosphere Reserve in northern Oaxaca and southern Puebla there are several species of cacti that have just the right type of host tree with just enough humidity and moisture to grow to maturity as epiphytes. The trees have nice deep bark with plenty of room for the roots to anchor in. 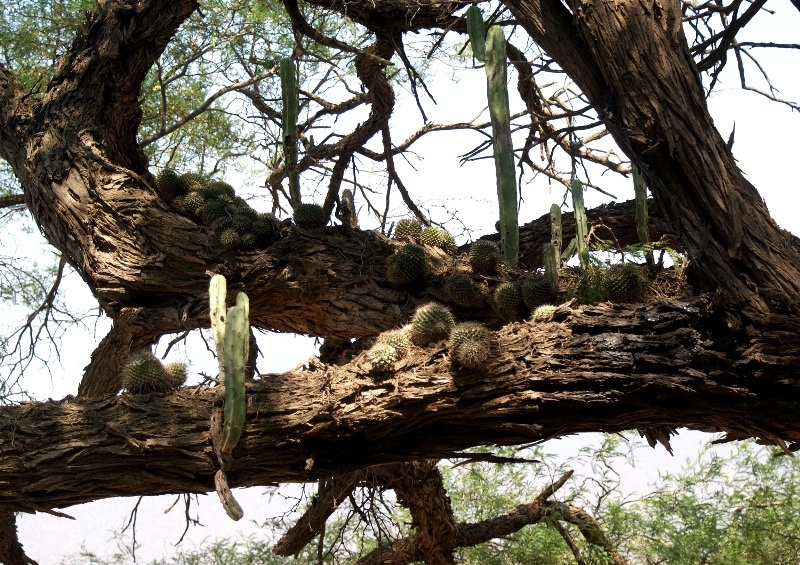 Looking up into the trees is not the first place you would think to look for a cactus!! And they not only grow on the trees, but even on a cycad in the park. It is always amazing to see plants doing their thing in unexpected ways!